So did you get that? 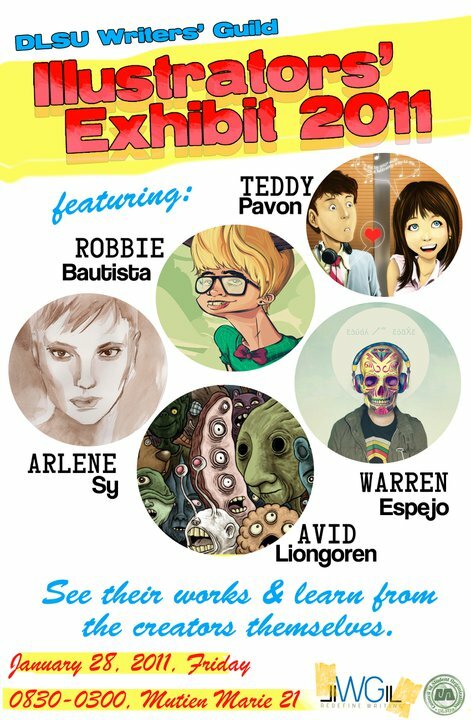 January 28, 2011 at Mutien Marie room 21, from 8 a.m. to 3 p.m. (a whole day exhibit). I think students from CSB can come too, if you can get in the campus. I don't know how the system works, but you might need to charm the guards a little bit. Ready your eyelash-batting skills. I know I haven't been around for a while, but I've been very busy with school. I might not be around more now, too, since I'm kind of starting with my internship right now with Storyline. But you should still check my blog every now and then for updates.